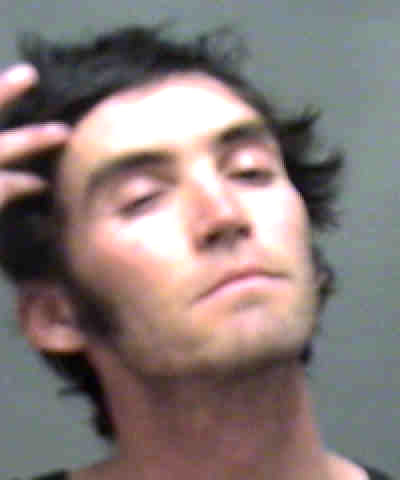 UPDATE: The toilet tank arrestee is a wannabe New Age pornographer. Colorado police have arrested the man who last week allegedly hid inside the tank of a portable toilet at a yoga festival in Boulder. Luke Chrisco, 30, was nabbed yesterday and charged with unlawful sexual contact and criminal invasion of privacy. The 6’ 4”, 160-pound Chrisco (who has been known to use the handle “Skye Oryan”) was collared yesterday by Vail police following a traffic stop. An alert cop realized Chrisco matched the description of the Boulder toilet suspect. Chrisco is pictured above in a mug shot taken after a December 2008 arrest for panhandling and resisting police. In a press release, Boulder Police Chief Mark Beckner thanked the public for providing valuable tips to detectives. “We are grateful to the public for helping us resolve this disgusting case in an expeditious manner,” Beckner said.